Fresh off another run to the finals of the Seafood Excellence Awards, presented on Sunday, 17 March at Seafood Expo North America in Boston, Massachusetts, U.S.A., frozen seafood company Cheating Gourmet is undergoing a rebranding. 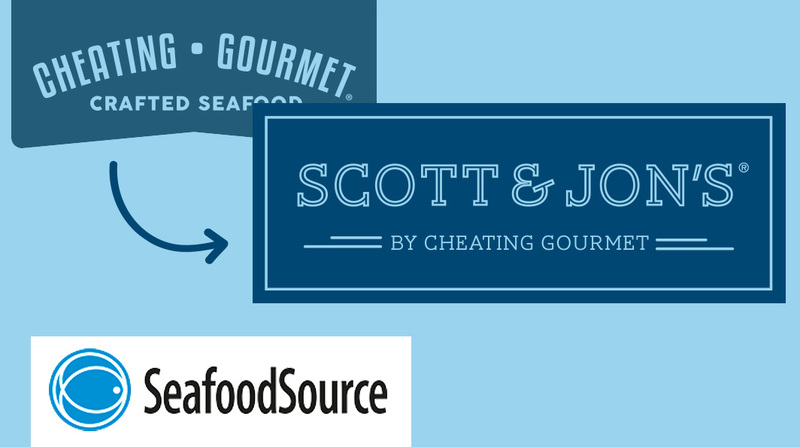 The Auburn, Maine, based company will now be called Scott and Jon’s, after Cheating Gourmet Co-Owners Scott and Jon Demers. The company did not provide additional information as to the reasons for the name change. Even with the name change, the company remains a constant presence in the finals of the Seafood Excellence Awards competition, where it has featured prominently in the past. This year, the company’s Shrimp Ramen Noodle Bowl was a finalist in the “Best New Retail Product” category in the contest, which annually judges new seafood products based on several criteria, including uniqueness and appropriateness to the market, taste profile, market potential, convenience, nutritional value and originality. While the company did not win the grand prize, judges praised the Shrimp Ramen Noodle Bowl’s nutrition profile and convenience. It is part of a four-item line released by the firm at the expo, which includes a Shrimp Alfredo Pasta Bowl, a Shrimp Scampi Pasta Bowl, a Shrimp Ramen Noodle Bowl, and a Spicy Shrimp Ramen Noodle Bowl. The products expand on Cheating Gourmet’s flagship line of gourmet frozen shrimp and rice bowls. The concentration on shrimp bowls comes partially in response to encouragement from Arbel Growth Partners, which in May 2018 announced it invested more than USD 1.3 million (EUR 1.1 million) in Cheating Gourmet, according to Nosh. Cheating Gourmet raised an additional USD 800,000 (EUR 705,000) from recently established equity firm Arbel Growth Partners, according to Nosh. Arbel Growth Partners Director Carl Lee told Nosh he saw great opportunity in the company. Scott Demers said he and his brother back Lee’s idea and will use the new capital injection to scale up growth. That includes four new shrimp bowl flavors – jambalaya, coconut, parmesan, and risotto, and a tripling of distribution. “You look at the category and there was nothing in there that brought a new life or that was innovative or spoke to today’s consumers,” Scott Demers told Nosh. He said younger consumers were looking for products like those made by Scott and Jon’s, which focus on convenience and new flavors.